The first of my things to do in the gothic quarter of Barcelona is to visit Plaça Reial. Surrounded by beautiful yellow buildings, and framed by palm trees, the elegant ambience of this square is hard to ignore. It’s no wonder its name translates to the “royal square” (Reial is Catalan for royal). During my own time in Barcelona, I simply enjoyed the atmosphere of this square, which is fabulous at the weekend, as it plays host to a recycled craft market, and buskers liven by the surrounding cafes. If this alone isn’t enough to persuade you to visit, then how about the opportunity to see one of Gaudi’s first projects: the squares street lamps. Sure, they’re not as elaborate (or as well known) as the architect’s other works, but he had to start somewhere. 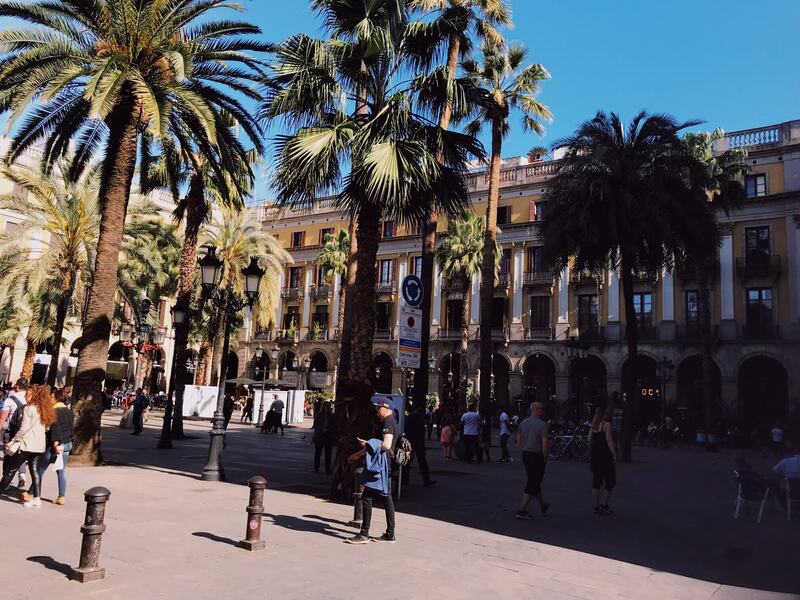 TOP TIP: Plaça Reial is the perfect place to start your Gothic Quarter tour, as it’s located right off of Las Ramblas street! When people ask what to do in the Gothic Quarter Barcelona? Most people will suggest visiting the beautiful Barcelona Cathedral. Dating back to the 15th century, this church is dedicated (as its full name suggests) to the city’s patron saint: Eulalia. A young Christian girl who was martyred during Roman times, after refusing to dismiss Jesus and god. During my visit, a festival was happening outside the cathedral which created an amazing atmosphere, and highlighted that the church is still a central feature in many locals lives today! You can visit the cathedral for free Monday-Friday 9am to 12:30pm, and climb up to the Churches roof to enjoy amazing views over the city! 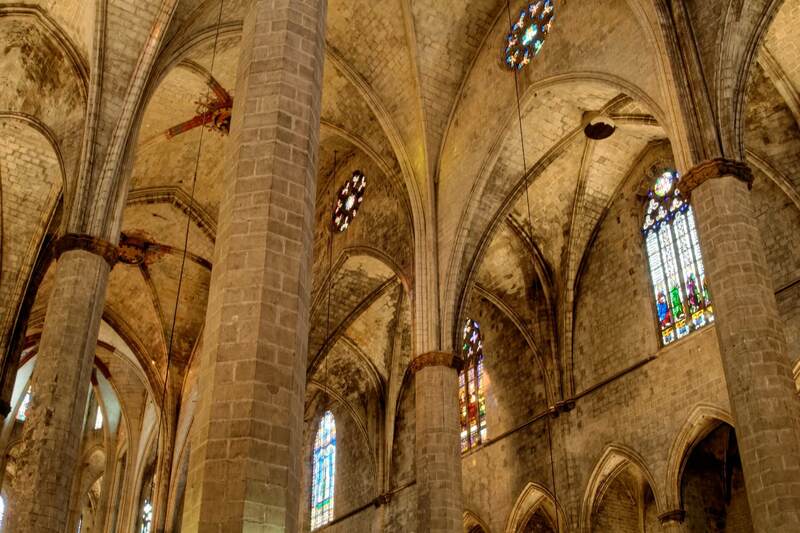 Thus it’s no surprise that the cathedral is seen as one of the best places to visit in the Gothic Quarter Barcelona. Spending a weekend in the city? 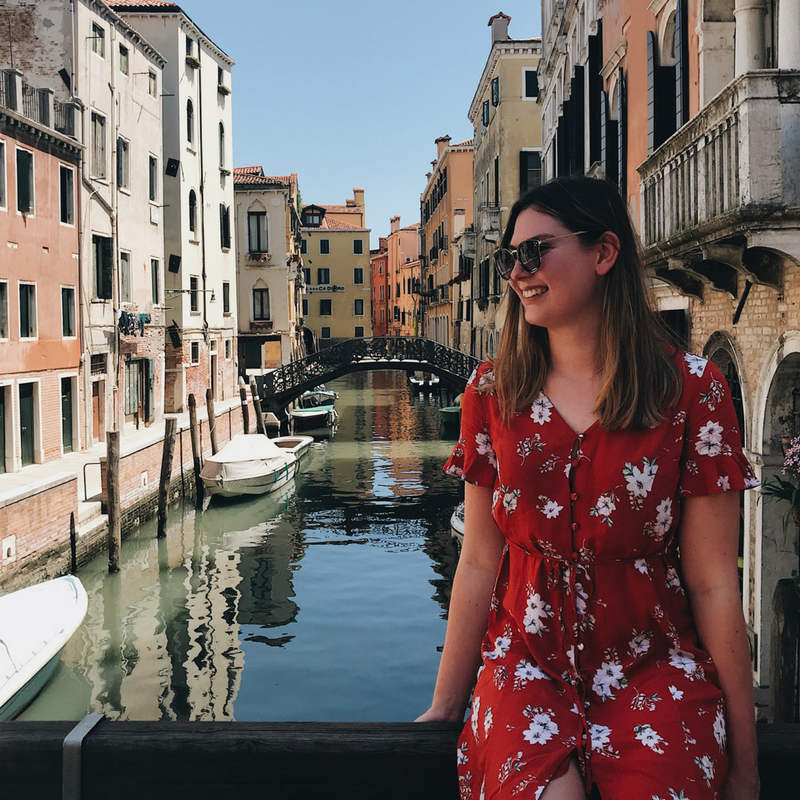 Check out my guide to spending the perfect 2 days in Barcelona! One thing the Gothic Quarter Barcelona is not short on is Churches. Close to the Barcelona Cathedral is the Basilica of Santa Maria del Mar. 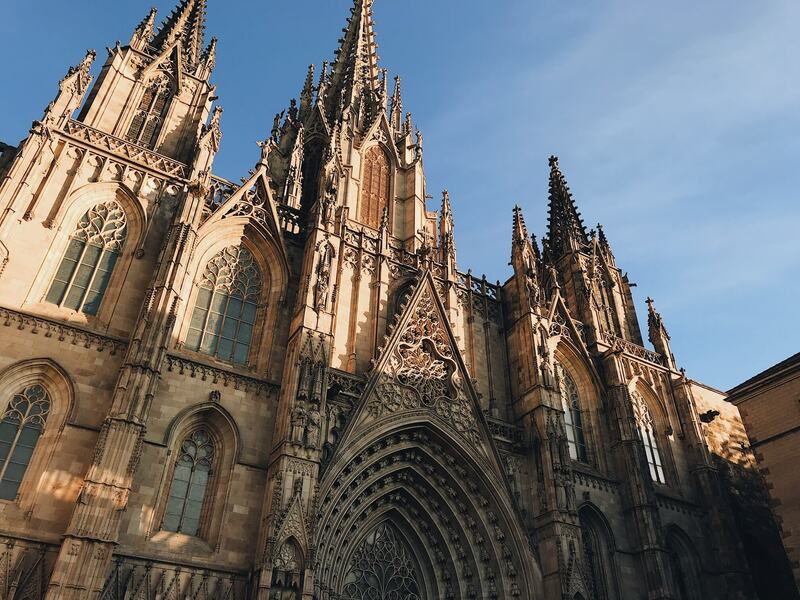 This Basilica is a perfect example of Catalan Gothic architecture, as it only took 55 years to build. Most cathedrals of this scale and grandeur take over a century to complete, meaning they usually end up encompassing several different architectural styles, as tastes change over the course of their construction. Thus, this short building time means that the Basilica of Santa Maria del Mar is the last surviving church in the pure Catalan Gothic style! You can also visit this cathedral for free between 9am to 1pm and from 5pm to 8:30pm on weekdays. I visited in the evening and enjoyed sitting peacefully to take in the atmosphere of its stunning nave, before heading back out to explore more of Barcelona’s Gothic Quarter. Navigating around the Gothic Quarter of Barcelona can be confusing. 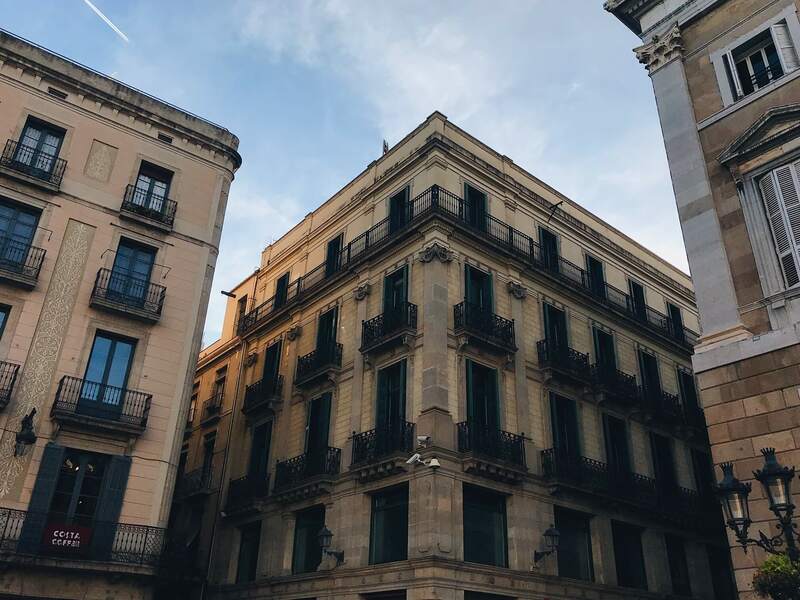 Although getting lost is really all part of the experience, I found that the perfect landmark to orientate yourself around is the impressive Plaça Sant Jaume. This square sits right in the middle of the region and it’s hard to miss. 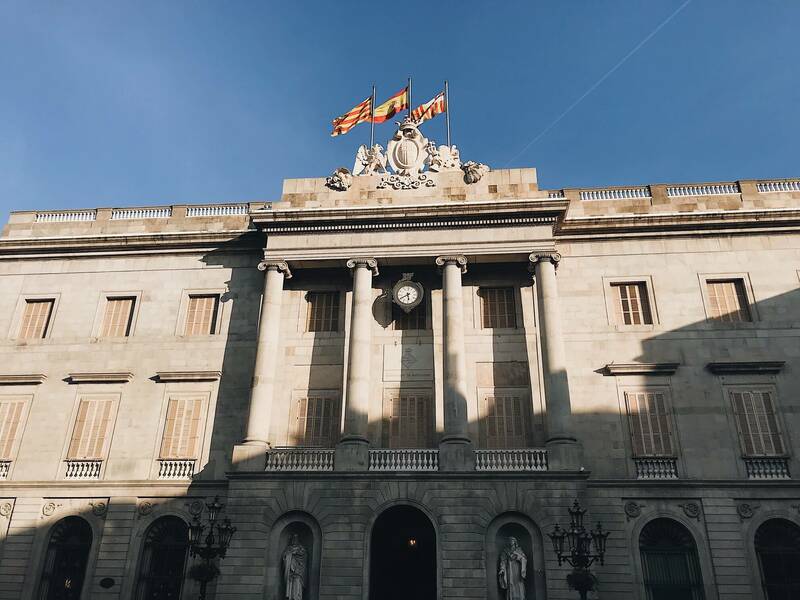 More than this, the square is worth visiting in its own right, as its home to many notable buildings such as Barcelona’s city hall (Casa de la Ciutat) and the Palau de la Generalitat (the base of the Catalan Government). Out of all the things to do in the Gothic Quarter Barcelona, my favourite had to be simply wandering around its ancient streets. The oldest and most beautiful part of the region is the Jewish Quarter. While a lot of the buildings here have been destroyed over the years, the original layout reminds. This means that the area is a Labyrinth of narrow alleyways, which either lead to beautiful squares or dead ends. Therefore, when wandering around it really does feel like you’ve stepped back in time, or at the least that you’ve been transported to a remote Spanish town. This area is just so different to the rest of Barcelona that you have to take the time to explore it! One of these previously mentioned ‘beautiful squares’ is Plaça Sant Felip Neri. The square is tiny but has a wonderful romantic vibe thanks to a pretty fountain that sits in the middle and a baroque style church which overlooks the square. 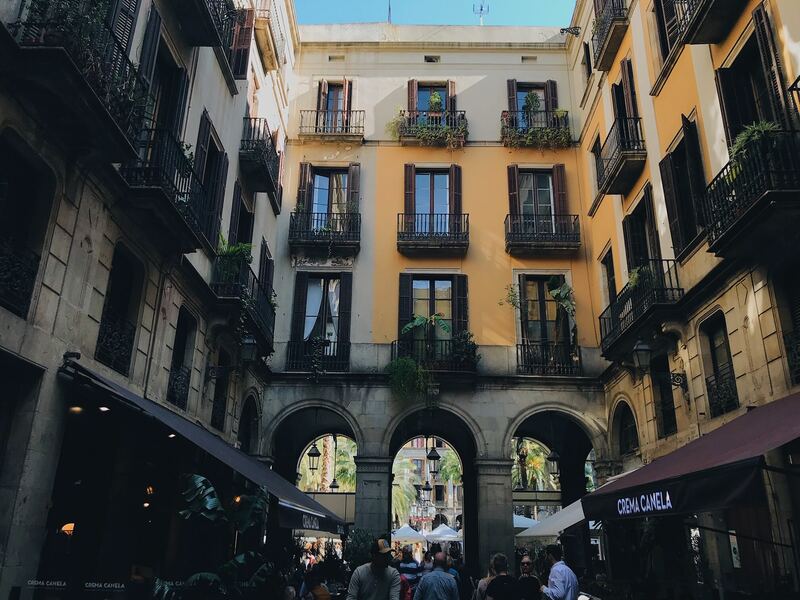 The square is definitely a hidden gem, and thus one of my top things to do in Gothic Quarter Barcelona. 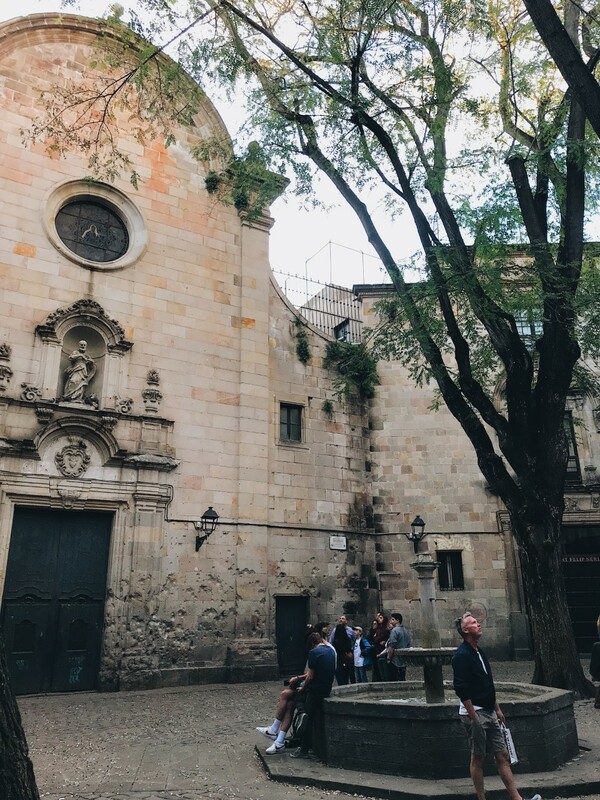 Close to the Sant Felip Neri square, you’ll find another of the Gothic quarter Barcelona attractions: the Museum of the History of Barcelona. The Museum features exhibits that explain the cities history, but the most impressive section is in the basement! 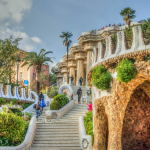 Here you can explore the Roman city of Barcelona, as the museum was built on incredible ruins. For example, you’ll find several houses, a church and even a fish factory! Sadly I didn’t have time to visit the Museum during my own tour of Barcelona’s Gothic Quarter, but entrance only costs €7, so if you’re into Roman history then it should be a must visit stop during your time in the city! Yet another peaceful square to visit in the Gothic Quarter Barcelona, is Plaça del Rei. 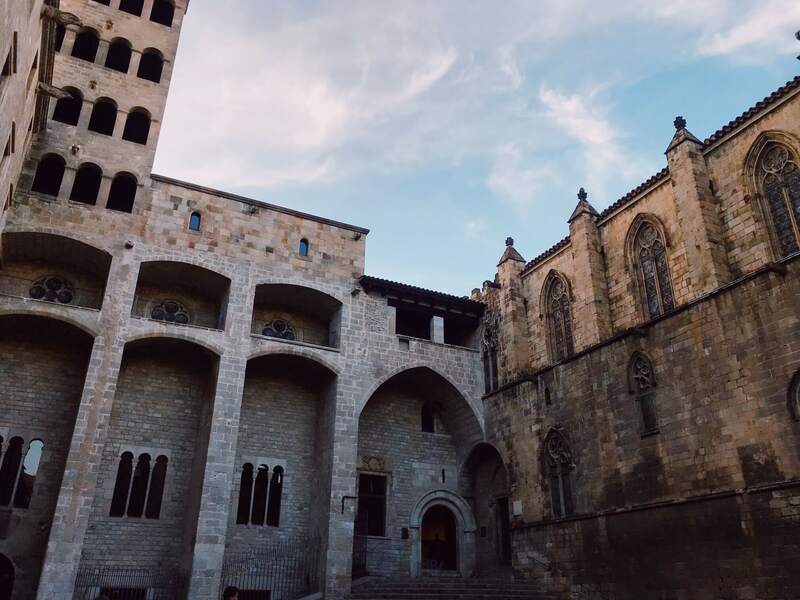 Here you’ll find an impressive royal palace, the Palau Reial Major, which was home to the Monarchs of Catalan from the early 13th-15th centuries. The palace is still in amazing condition, even after all these years, making it a great attraction to visit. After visiting I can inform you that this bridge is called: Pont Del Bisbe, which translates to the Bishops Bridge! It can be found off of Placa Sant Jaume, as it connects the Palau de la Generalitat to La Casa dels Canonges. 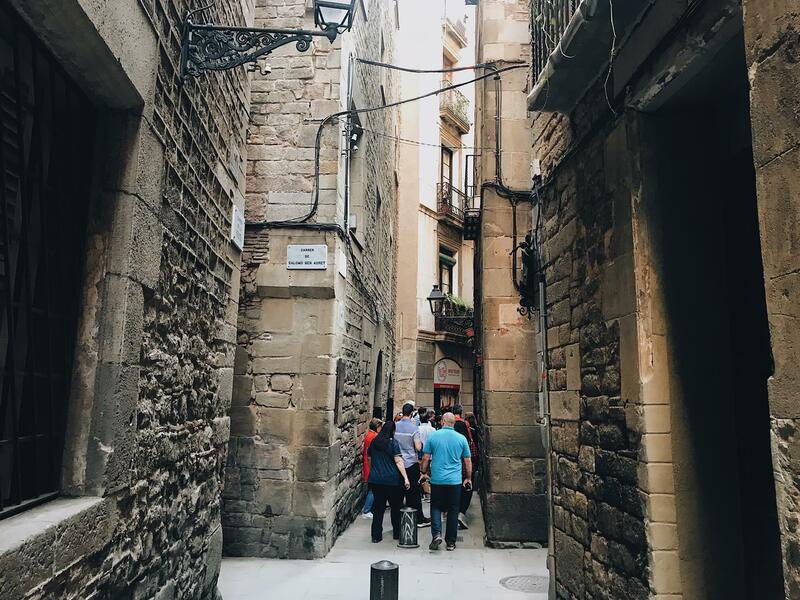 The best way to see all these amazing things to do in the Gothic Quarter Barcelona is to take a walking tour of the region! On my own trip, I booked on a Runner Beans tour of the area and would definitely recommend them. Their two-hour tour will take you to many of the sites mentioned in this post, meaning it’ll give you a great overview of the Gothic Quarter! I hope you enjoyed this post on ’10 Amazing Things To Do In The Gothic Quarter Barcelona’! As you can see the neighbourhood is filled with history, making it a truly interesting and unique part of Barcelona to visit.